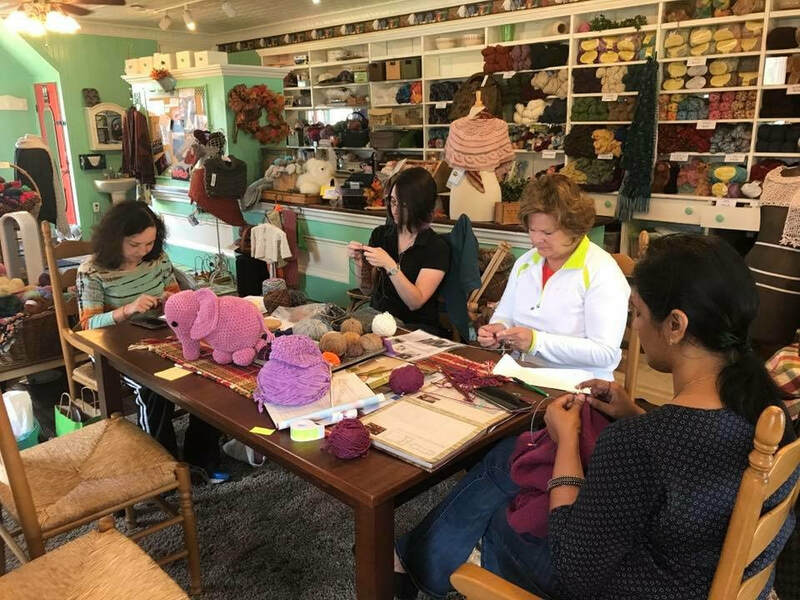 UPCOMING CLASSES . . . .
Once you have selected your "BIG" yarn, we will work our way through a simple pattern that will leave students with a great winter cover-up. The cape can be used over sweaters and/or jackets or coats to dress up any outfit. Learn how to get comfortable using very large yarns and needles to create unbelievably quick projects or gifts! Who doesn't love a bright, cheerful floor pillow to relax by the fire, read a book to your children, or dress up a sofa or comfy chair? We will begin a 24" floor pillow and supply the form to insert in the crocheted project, not usually available in local stores. double crochet prior to starting this project. If you don't know how to crochet or are a little rusty, sign up for a lesson or two prior to this class to brush up on your skills. You get all the pieces of your project finished, ends woven carefully in. And then what? or project look professionally completed? Let Cindy de-mystify this all-too-common conundrum in her straightforward, practical & memorableway. You'll be able to practice the different methods of seaming and finishing. so you will have time to do a bit of homework to bring with you.